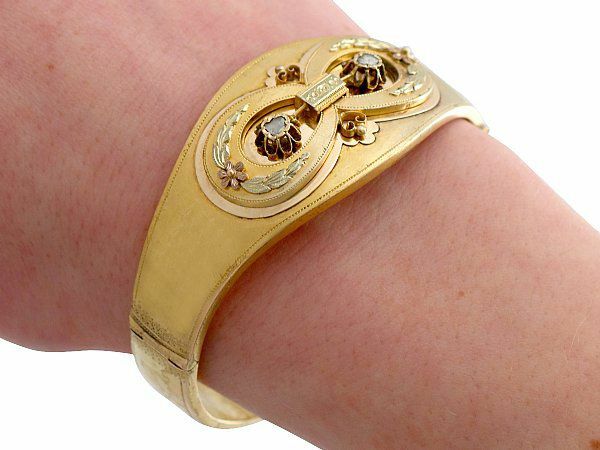 This stunning, fine and impressive antique diamond bangle has been crafted in 14 ct yellow gold. 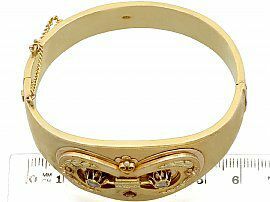 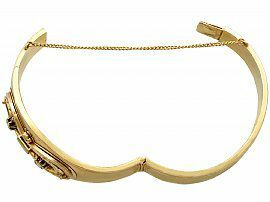 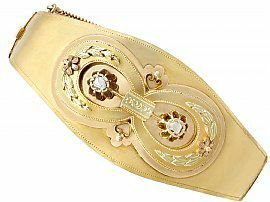 The wider anterior face of this hinged bangle has an applied infinity shaped (lemniscate) design, accented to either side with a flower and paired leaf motif. 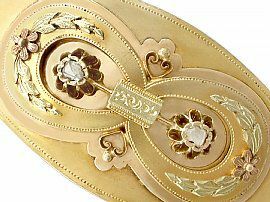 The conjoining incurve is ornamented to either side with an applied scrolling heart and ball decoration. 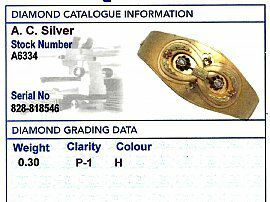 Within each loop of the infinity, a scalloped edged, fluted setting displays a feature old mine cut diamond. 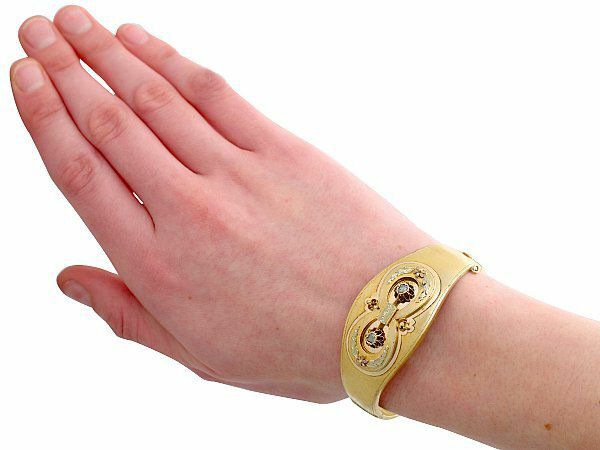 An engraved decoration embellishes both the infinity design and the upper and lower borders of either side of the bangle. This impressive antique Austrian bangle secures with a push fit clasp to one side and benefits from the additional security of a fine link safety chain. 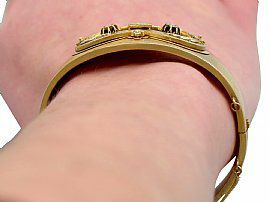 The bangle is hallmarked to the tongue of the push fit clasp with the maker's mark 'SD' and the Austrian 14 ct gold import mark (S cocker spaniel 4). 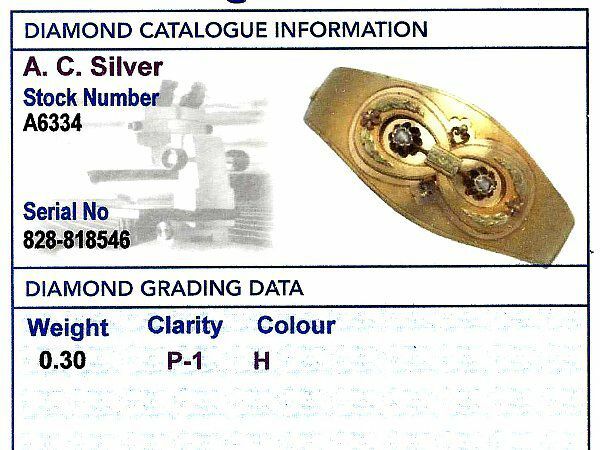 This impressive diamond bangle is supplied with an independent diamond grading report card. This stunning Austrian bangle is exceptional quality set with very well colour matched, very high colour graded old cut diamonds. The bangle is an exceptional gauge of gold and is in excellent condition, with slight surface wear as expected, in keeping with age. 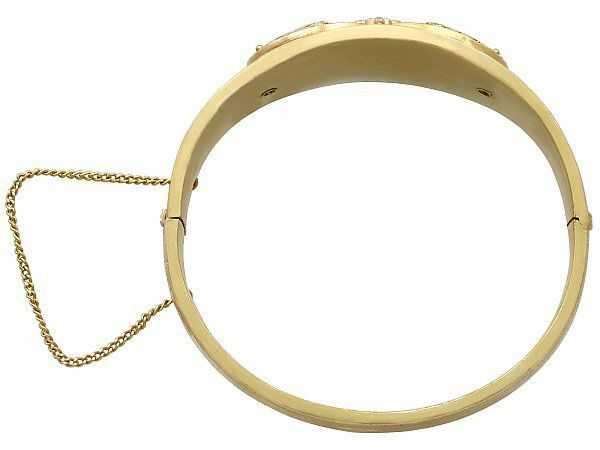 Exterior diameter (major axis) 6.2cm/2.44"
Interior diameter (major axis) 5.7cm/2.24"
Exterior diameter (minor axis) 6.3cm/2.48"
Interior diameter (minor axis) 5.2cm/2.04"